The Leopold Museum, in Vienna's MuseumsQuartier, is one of the city's cultural musts! When Rudolph Leopold, one of the leading art collectors in the Austria-Hungarian Empire, decided to sell his childhood stamp collection to pay for a reproduction of an Egon Schiele painting, he had no idea that one day he would own one of the most valuable collections of Austrian art. On September 22, 2001 the Leopold Museum officially opened. The white cube that seems almost to dance on air became home to over 5,000 works, 220 of them by none other than the man who ignited his passion for art. Of Schiele, Leopold said he was an artist "who could paint and draw like the Old Masters yet with a modern sensibility." How fitting then that his work embodies the delicate balance of old and new, just like the MQ itself. In fact this "old" work may cause many modern day controversies, such as his self-portrait of Christ on the cross or his feminine self as a nun embracing a cardinal, the two bodies forming the shape of a cathedral while their naked legs are exposed from beneath their robes. It's easy to see why the artist was arrested in the Vienna of the early 1900s. Unfortunately Schiele’s artistic career was short-lived as he died at the age of 28. 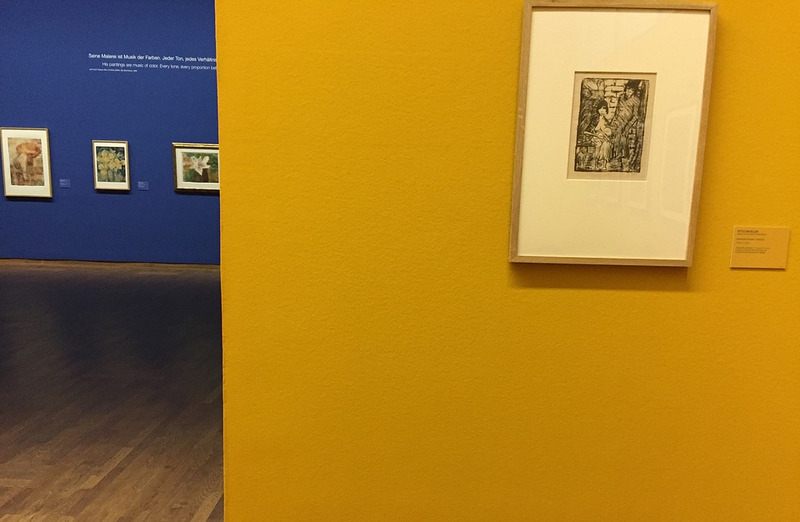 But he lives on forever with his expressionist counterparts, Gustave Klimt and Oskar Kokoschka, in the Leopold Museum through his distorted, exaggerated forms and colours and in the emotional impact they have on us. In addition to the permanent collection check out the excellent temporary exhibitions programmed at the museum. Wednesday Monday, 10:00 - 18:00; Late opening on Thursdays until 21:00.